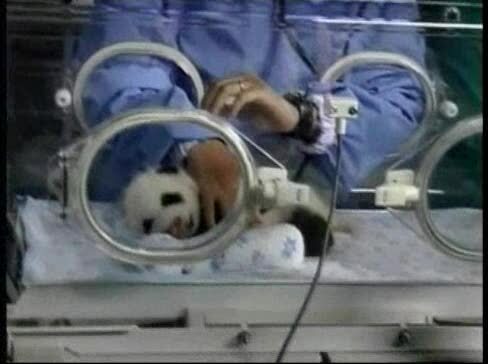 Thousands of visitors descended upon Chiang Mai Zoo Saturday to get a glimpse of a panda cub born at the end of May. Since its surprise birth, the baby panda has generated much attention in the Thai media, making front-page news in Thailand for weeks on end. A competition to find a suitable name for the cub received more than half a million entries. The name will be chosen and announced next month. The cub was conceived through artificial insemination by Chiang Mai Zoo officials, after many failed attempts to get Lin Hui pregnant. The adult female panda and her partner are on loan to Thailand from the Chinese government.